Outside events are always weather permitting. Fundraiser This event will raise money for GALT to use to help greyhounds. Greyt Fun You can bring your greyhound to this event! Meet & Greet Come meet available greyhounds at this event. Show & Tell A short presentation with Q&A time to help educate people about greyhounds. City Line at 1415 E. Renner Rd. Three to four available GALT Greyhounds will be at this event. Two or three adoptable greyhounds will be at this event. Five or six adoptable greyhounds will be at this event. Two to three adoptable greyhounds will be at this event. Come out and meet the hounds, 11:00-1:00 MST. 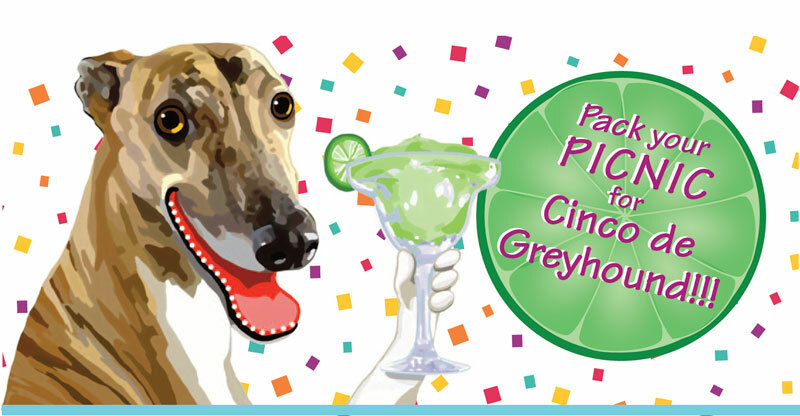 We look forward to seeing you and your greyhounds for an action packed annual Greyhound Adoption League of Texas Birthday Celebration! We'll be at Double Tree Ranch Park in Highland Village. Reiki - $10 / 10 minutes - by appt. Reiki is an ancient energy healing practice that is a great stress reliever. Certified Reiki master Suzanne Burke. Three or four adoptable greyhounds will be at this event. Two or three available greyhounds will attend.